Discussion in 'Factions' started by Dannyelling, 1 February 2019. Some people who have come and gone from my life showed me this server in 2017. But I made our faction, Gorillaz. We were PlasticBeach, then FeelGoodInc, now Gorillaz. I guess I've stuck around so long cuz the childhood nostalgia goes hand in hand with Demon Days, in my opinion. We're just starting back up. We're building Plastic Beach again and we want to rebuild our old town, but broken down and underwater, like it was destroyed (and it was before the map reset lmao). Also. We don't wanna be a pirate/raid faction this time. If factions disband I don't think we're gonna pounce on those territories. If you're looking for a faction to raid others, you're not gonna find that in Gorillaz. Sorry. We had fun doing that last time but we just wanna live peacefully on our little trash beach. 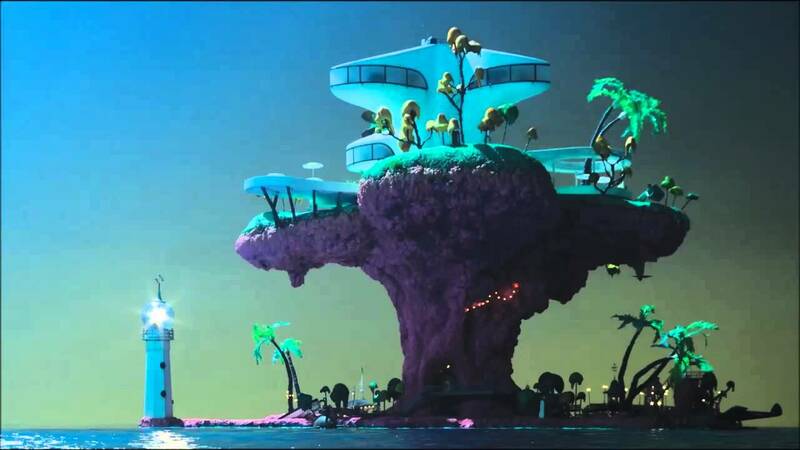 When Plastic Beach is filled with resources, I want to set up the Feel Good Inc tower sort of poking out of the ruins of our previous town, and it'll be the Goodwill of the town. Members can donate extra stuff to the Feel Good Inc tower so others can go in and get stuff they might need. Plastic Beach will probably hold our stuff for when we inevitably make a store. But that'll be a long time from now. Hit us up if you wanna join. We have a little group DM on Discord to figure out what we wanna do. My minecraft handle is 2Dentz. We got Kong Studios made before Plastic Beach. So we have our shop about to be listed. Right now, we only have potions to sell. Each member is gonna get their own room to sell out of. However, only happylandfill and I know what we want to stock Kong with. When it goes live, feel free to talk to Mike the Robot. He's giving away free cookies! Just bop the top of his head (press the button) to get a cookie. I'm gonna add "flare gun" fireworks to my room in a bit, so stay tuned! Also gonna be adding banners-- I know you guys liked the banners I had in the last map. I'll add the typical banners that I vaguely remember. Ping me on the Discord server if you want a custom banner built! Also if you wanna join, we do have a second floor that you can use (and decorate as you please).